This graph shows the top reasons to join a rewards program in the United States in 2012, by generation. 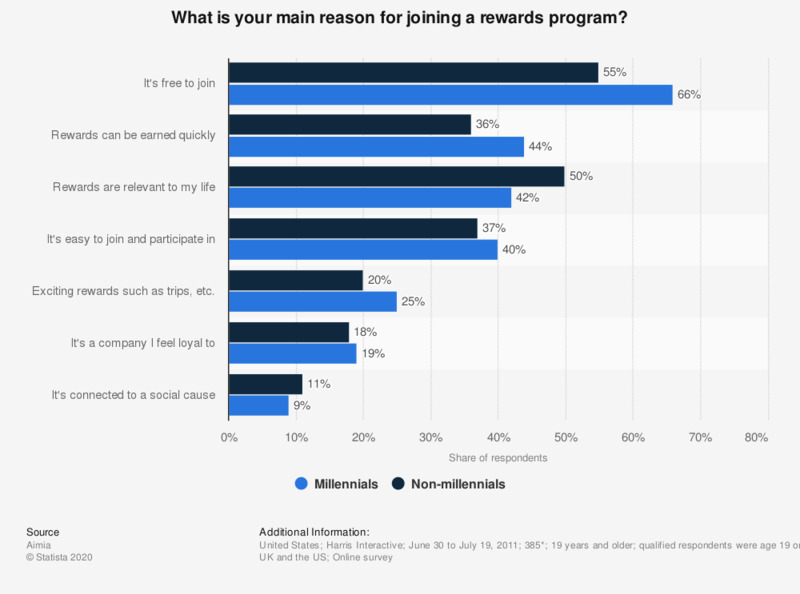 The survey revealed that 66 percent of millennials would join a rewards program if it was free to join. * Millennials (207); Non-millennials (178). Statistics on "Millennials in the U.S.: Consumer goods and shopping behavior"